Another of the new series of books from Specialty Press, this time it provides coverage of ships of the U.S. Navy and its operations during 2006. This book follows the same Specialty Press’ format of providing a photographic coverage spanning a full calendar year of operations of the service that they are covering. Although the title of this volume is U.S. 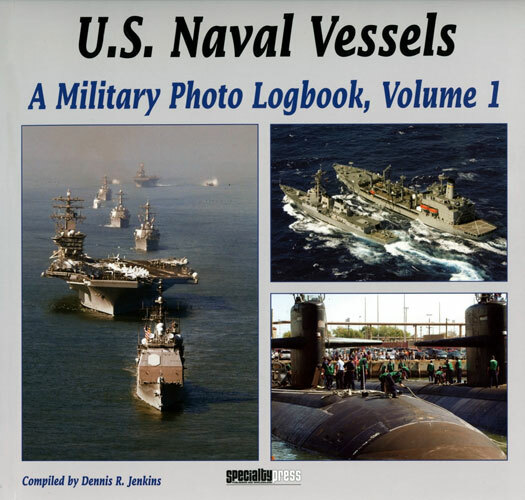 Naval Vessels, it also contains photographs of United States Coast Guard vessels and their operations too. All aspects of operations in peace and war are covered with images captured on the high seas and at U.S. bases across the world. Images of combat operations are included as well as humanitarian missions and training exercises including those familiar to us Aussies including VALIANT USHER and RIMPAC. 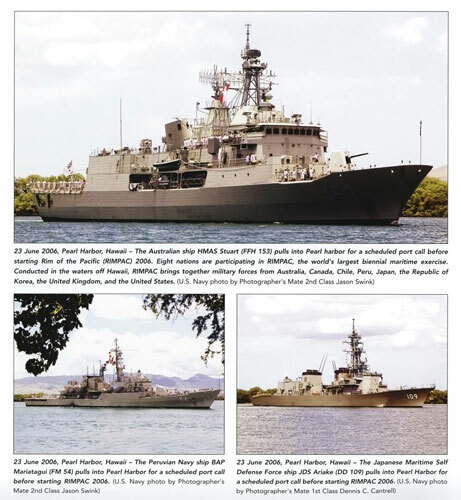 Indeed, there is even a photo of HMAS Stuart when she was in Pearl Harbour for the RIMPAC exercises between the book’s covers. The vast range of ship types commissioned into the U.S. Navy are covered including aircraft carriers, cruisers, destroyers, attack and ballistic missile submarines, Coast Guard cutters, oilers and replenishment ships, ice breakers, and experimental ships. The coverage is pretty comprehensive too with the chapter covering May featuring a two-page spread of the scuttling of the historic USS Oriskany to form an artificial reef some 24 miles off the coast. The book it self is soft bound with thin cardboard covers, is 9” x 9” in size and comprises 120 pages holding 342 colour photos. The biggest surprise is the cost at just $19.95USD direct from the publishers. These new series of books from Specialty Press are excellent value as far as I am concerned. They provide sharp full colour photographs that will delight both armchair Admirals as well as ship modellers seeking reference shots to detail their latest creations.